Today we visited the Mad River and NKP Railroad Museum in Bellevue, OH (Allen County). What a treasure this is! 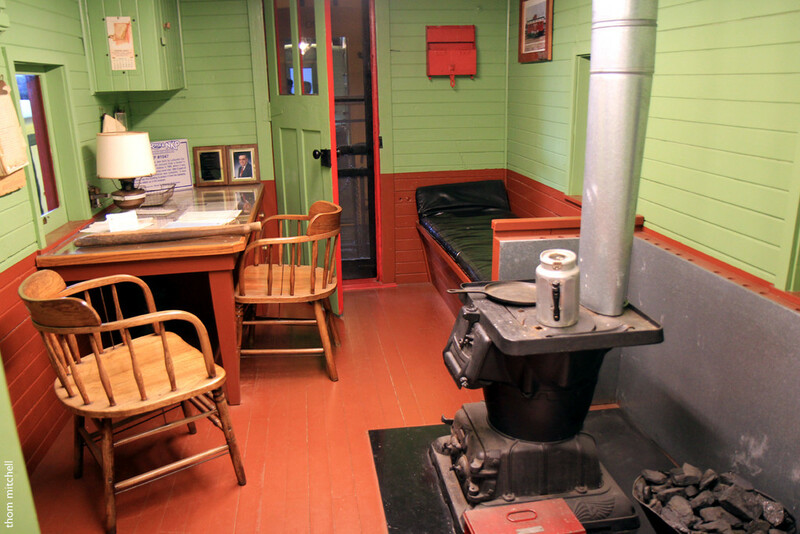 This photo is inside NKP #1047 — a restored wooden caboose. According to the placard on the desk, it was built in 1882 by Lafayette Car Works, https://www.midcontinent.org/rollingstock/builders/lafayette.htm It was "rescued" from a farm in Michigantown, Indiana, in 1986 where it was used "as a clubhouse for a boy scout club." Restoration took 8 years. The car is kept indoors at the museum to protect it from the elements. It is the oldest car at the museum. Each detail is very interesting to study!